Eating healthily at university can seem like an impossible task, and many students may get frustrated at the prospect of sloping round the supermarket looking for overpriced ingredients when they can throw a pizza in the oven. Although a pizza is cheap and easy, it is not exactly packed with nutrients. 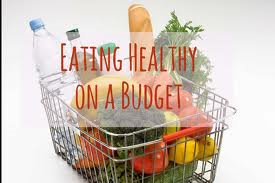 Some of the healthier options, like fish for example, do cost a bit more than processed foods, however if you know a bit more about what to buy and where to shop, you can eat well without breaking the bank. Here’s my 3 top tips for shopping and eating for less. This is arguably the most important factor when trying to budget. If you know what you are going to be cooking and what ingredients you will need, you won’t find yourself wondering in Tesco and spending unnecessary money that could have been spared. If you don’t have any idea what to cook, get searching online, there are so many great websites filled with easy student recipes. To single out just one, try http://www.bbcgoodfood.com/recipes/collection/student. Once you know roughly why you are going to be eating, make a list and stick to it, obviously you aren’t going to follow the plan exactly (we are students) but getting into the habit of planning is definitely going to save you time and money. Fruit and Vegetables – It’s a given that fruit and vegetables are vital and should be consumed every day, 5 portions is the advised amount, and although this may seem like a lot, it can be done. Don’t forget fresh, frozen, canned and dried fruit and vegetables count towards your five a day, so if you are one of those students that buys fresh fruit and vegetables but never gets round to eating it before it goes off, opt for the canned and dried goods! Carbohydrates – Starchy foods are also an important component of the student diet, these include bread, potatoes, pasta, rice and breakfast cereals (try to opt for the whole grain varieties). Starchy foods are broken down into glucose which is the main fuel for your brain. The brain plays a key role in ensuring you have an efficient metabolism. Therefore, it is essential to include starch at mealtimes. Long term avoidance of starch can cause the brain to register a false starvation and respond by slowing the metabolic rate, thus making weight gain more likely. Pasta in a homemade tomato sauce with cheese to garnish. Dairy products – Another important ingredient is milk and dairy foods, most people require a minimum of three portions daily. 1 portion equates to one-third of a pint of milk, a small pot of yoghurt or a small matchbox size square of cheese. These foods contain calcium which is essential for healthy bones. Cheese is very versatile and can be added to many dishes to add protein to meals. For example, pasta and pesto topped with cheese adds protein to your meal. Meat, fish, eggs, beans, and meat alternatives including soya – These foods contain protein and play an important role in allowing the body to grow and repair itself. Meat, eggs and pulses are good sources of iron. Oily fish contains omega 3 oils which play an important role in the prevention of heart disease. Current guidelines recommend consuming a minimum of 2 portions of fish per week of which one should be oily. Eating fish can significantly reduce your risk of having a heart attack and therefore contribute to a healthy heart. Oily fish include kippers, sardines, trout, pilchards, salmon, fresh tuna (not canned as oils are lost during the canning process), mackerel and eel. If you can incorporate these into your diet you are doing well, and your body (and mind) will greatly appreciate it. Choosing cuts of meat which are versatile makes economic sense. E.g. buy minced beef or lamb meat to make kebabs (kofta kebabs), burgers, bolognaise, meatballs, shepherd’s pie and lasagne. A small cooked chicken can also be used in sandwiches, curry, chicken and vegetable savoury rice dishes, and couscous. Eggs are high in protein and a good source of iron. They are very versatile and quick to cook. Dishes including boiled/poached or scrambled egg, and omelettes. For meat and vegetables, head down to the market in town (on St Mary street), you can buy meat in bulk here and it’s very good value for money. As long as you have a reasonable amount of freezer space, this is the way to go. It does mean walking into town and back with your purchases, but it’s not very often as it will last you a long time. For other items, any supermarket store will do, although chains such as Lidl and Aldi seem to come out as the cheapest options, so if the purse strings are really tight head there. Another thing to bear in mind is student discount, for example NUS extra cared holders get 10% off in the cooperative, and if you do find yourself eating out a lot, it also gives you loads of other discounts for restaurants. To purchase a card just head to http://www.nus.org.uk/en/nus-extra/. Finally, some shops do discounted prices in the evening, so keep an eye out for those if you like to shop late at night. I hope this helps and remember choosing ingredients you enjoy will make you more likely to feel motivated to cook and taking it in turns to cook with flat mates can help increase variety.